"Custom Sewing for the Roman Catholic Church"
High quality, made-to-order Priest and Deacon vestments (including travel vestments), altar cloths and small altar linens, Tabernacle veils and curtains, Religious habits, as well as mending of worn and/or damaged vestments. Among my earlier memories are those of my mom sewing – at her sewing machine, doing mending at the dining room table, and teaching sewing skills to her daughters. She had much patience and a love for sewing. Because there were seven children in our family, it would have been far easier and quicker to purchase clothing off the rack. Mom’s love of sewing, as well as her deep love of the Catholic Faith, have been passed on to me – resulting in the work I do. Custom Sewing by Peggy – sewing for the Catholic Church – began in 2004. This includes custom-sewn traditional vestments, altar cloths and linens, Tabernacle veils and curtains, and Religious habits as well as mending worn and/or damaged vestments. 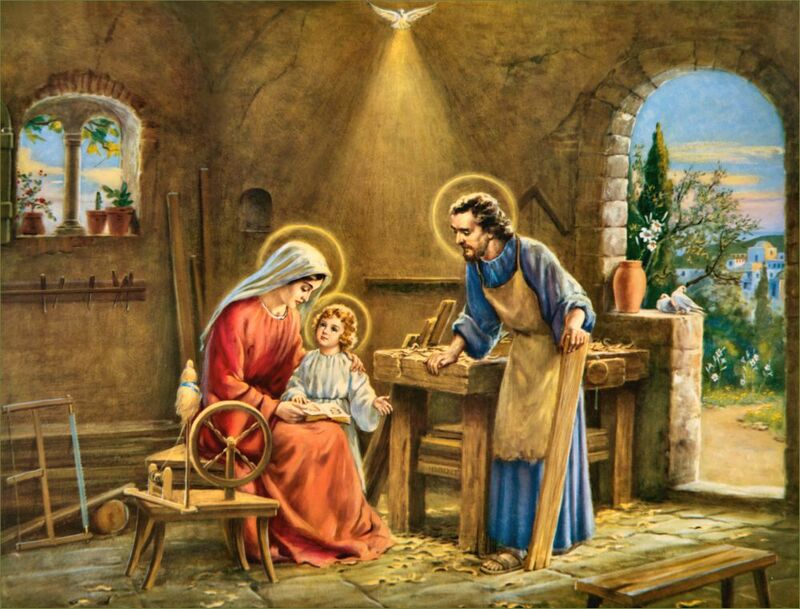 The goal of Custom Sewing by Peggy is to work within the budget of the customer, creating custom-sewn vestments, altar cloths and linens, Tabernacle veils and curtains, and habits that please the customer and ultimately give glory to God alone. Each set of vestments includes a chasuble (Roman or Gothic) with accompanying stole, maniple, chalice veil, and burse sewn to the specifications of the customer. Worn or damaged vestments can also be re-lined and/or mended as needed. All altar cloths and small altar linens are sewn to the dimensions and specifications of the customer. They can be sewn using 100% linen or polyester easy-care linen. If desired, lace and/or embroidered crosses can be added. For more information or to order, contact Peggy. All Tabernacle veils and Tabernacle curtains are sewn to the dimensions and specifications of the customer. As with the vestments, the Tabernacle veils and curtains can be sewn in the seasonal colors of green, white, red, violet, rose, black, and gold. For more information or to order, contact Peggy. All habits are custom made for each individual customer. A pattern can be made using the customer’s measurements as well as a worn habit in order to duplicate the original habit. The original habit may need to be taken apart in order to make a pattern. For more information or to order, contact Peggy.